9.0 x 5.9 x 5.4 cm. Russian citrine specimens are VERY hard to come by. 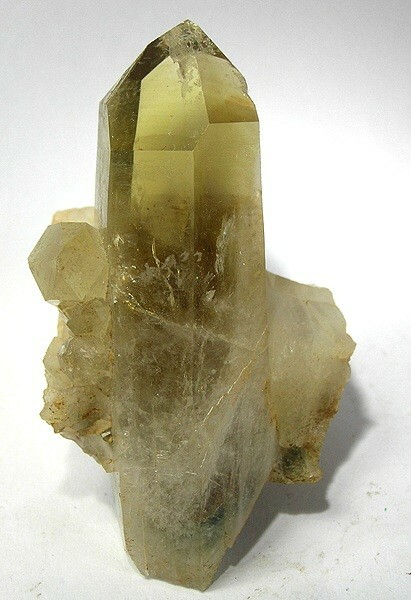 The main crystal here measures 9 cm in length, and is a fine gemmy golden-yellow through the top half. Those are natural internal fractures inside the termination, not damage! Sits attractively on a natural quartz "base".